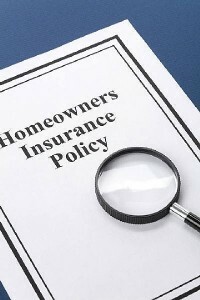 What do you know about your Homeowner’s Insurance Policy? Have you evaluated it recently? If not, it is a good idea to review it every six months to ensure that your coverage is as expected. Obviously, the best time to review your policy is prior to a crisis situation. So take some time out of your busy schedule and spend a few minutes today going over the details in your insurance policy. I recently came across and article featured on The Simple Dollar http://www.thesimpledollar.com/best-home-insurance/ about the best home insurance companies for 2018 and what you need to know about getting a homeowners insurance quote. You may find that a change in your policy could save you money both short-term and long-term. Ask – Can I qualify for a premium reduction by installing smoke detectors, alarms, new locks or doors, or improved roofing material? Do I qualify for a preferred customer or senior/student discount? What is really covered by my insurance? Ask about the phrase “acts of God” and the interpretation of the insurance company. Discover – What is insured, the actual home or only the land under it? Is land value part of my policy amount and if so, why? Did I opt for replacement value or actual cash value in your home coverage and does that still apply? Discuss – Are my valuables and heirlooms in need special coverage? Would a higher deductible result in a significant reduction in my premium? Should I get earthquake or flood damage insurance? Asking these questions now and periodically in the future will give you peace of mind and give you the knowledge you will need should you ever encounter a crisis with your home. It is a good idea to place a copy of your homeowner’s policy in a place away from your home, as well, in case just such an accident does occur.